Summer in the Philippines. White sand beaches. World-class. What place comes first into your mind when you hear these three phrases? If you’ve been in the Philippines or just stalking in various travel blogs online wishing you were there, you probably heard of this place. 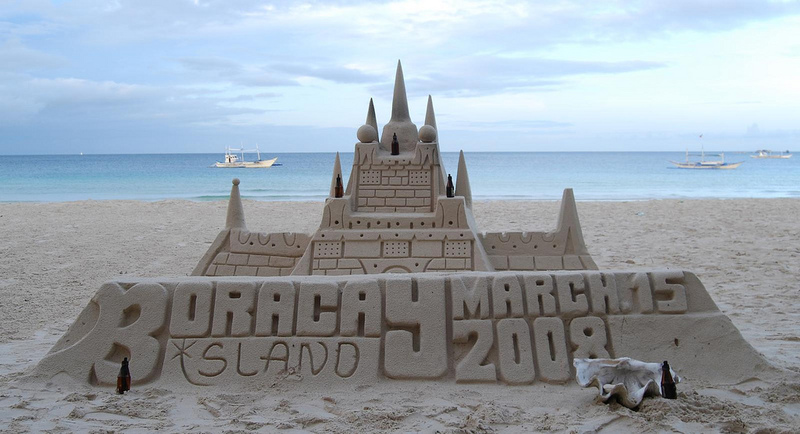 It is none other than the ever famous Boracay Island of the Philippines. What is so A.W.E.some in Boracay anyway? Aside from the powdery white sands and cool crystalline waters, there is so much to do other than strolling at the beach. Want to go elemental? Experience Boracay’s air, water, and earth. Below are the A.W.E.some activities you can try. Enjoy something as breathtaking as this and gasp at the sight of the fantastic vista of Boracay. You will literally have the bird’s eye view of everything. This is a perfect way to survey the whole island in all its glory. Sailing with the wind has never been this exciting. Combining the velocity of the speed boat and the drag of the parachute attached to your back, you’ll be like flying in the air in no time. Try this activity and be a mermaid or a merman for a couple of minutes. This under the sea experience could satisfy your visual appetite as you encounter the colorful aquatic animals and coral gardens on the seafloor. On the other hand, if you’re tired of the tranquility offered under the sea you can go extreme with this ride. Don’t worry because there is no actual tornado will that will be involved here. You’ll just ride a speed boat at its maximum power and the boat will make a 360 degree turn that will mark the end of your boring life. Just hold on very tightly for your survival. You can travel by foot in Boracay. It is only four kilometers long. It is also the best way to go sightseeing if you want to snap a couple of pictures here and there. But another way is to have a bumpy ride via an ATV (All Terrain Vehicle) or a buggy cart. This is a chance to stroll on the beach western style! This can be a fun family activity or a romantic escapade with your special someone. For natural effect or background, schedule it while the sun is setting or just about to peek out the horizon. Do you have now an itinerary planned on your mind? Choose your own adventure. Via Air, Water, or Earth! Or would you rather have everything? AWEsome. Pierre Angela Cruz is a Marketing Consultant for some clients here in the Philippines and outside the country. She started blogging since 2012. She is an internet savvy, reading blogs about SEO industry. She is a food lover who loves to eat pizza and pasta and an adventurer who wants to experience the world.Visit her page on about.me.